You thought meditation will be the best remedy after a tiring and stressful day. It seems the ideal solution until you find that stress and anxiety are keeping you away from the much-desired meditation bliss you sought. My previous post would have shed off some frustration for some meditation practitioners. This wrong mindset in meditation causes frustration in beginners and those who have been meditating for a couple of years. This is no newbie mistake. If you are still meditating with the intention of clearing your mind of all thoughts, check this post to find out what meditation experts suggested you should do instead. It will save you some frustration along the road. As much as meditation is being suggested as a proven stress releasing technique, trying to meditate after a long day at work is going to be another struggle. Of course, hitting the bed after a stressful is the best medicine. But getting rid of the stress and problems of the day that runs amok in your mind is going to be a nightmare itself. So can you squeeze in some meditation after a long day without ending up frustrated? It’s possible. And here’s some of the best ways to meditate at home if you are really exhausted. Ever wonder why yoga and meditation is a perfect match? Or how you feel happier and relaxed after working out? The science part is that your brain released endorphins, that makes you feel relaxed and exhilarated after exercising. And meditation is the perfect follow up to bring a relaxed mind to a calm state. Scientific facts aside, I sure feel fresh and power up after a short 15 minutes of working out at the gym before writing this post. Meditation is known to help beat depression when it’s done before a workout. But what about meditating after working out? Many people find that doing some exercise first really helps the meditation.. It’s as if a lot of excess energy gets burnt off and so the mind finds it easier to relax and let go. This answer in Headspace forum shows that working out could, in fact, makes meditation easier. If you are thinking “I want to meditate to get rid of all these stressful thoughts“. You are going to spend a whole 30 minutes stressing over it. And do I need to repeat again that meditation is not about clearing all thoughts from your mind? The right way to approach meditation is to do so for the sake of meditation itself. You could be hearing this advice being repeated over and again but it’s easy to slip into a wrong mindset with a tired mind. Stop thinking and start meditating. It’s different. Ok. This is my favorite meditation routine. (because it keeps me awake). And simply because I see walking meditation as the perfect intermediary between the mindless and mindful state that you are trying to achieve. If you have trouble with sitting meditation, do try the walking form. It helps even if you are feeling tired. Turning your awareness to your footfall could be a bliss after a long and stressful day. 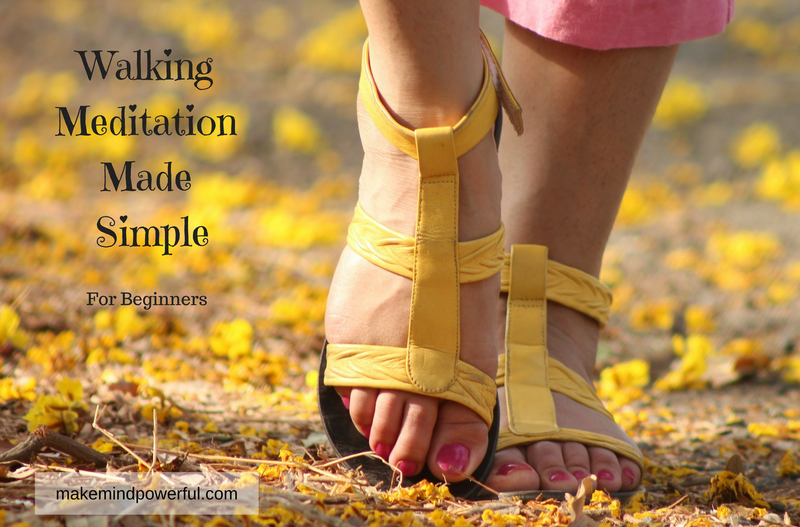 You can try walking meditation for about 15 minutes before attempting the sitting form. Just get a FREE copy of mindfulness walking meditation guide when you subscribe. Let’s forget about binaural technology for a while. Slow, quiet, classical music is known to slowing the heart rate and lowering blood pressure. Most importantly it reduces the stress hormones as well. Ok. Now let’s talk about binaural technology and the amazing fact that when you listen to music of 60 beats per minute, your brain generates alpha waves, which reduces stress and increase creativity. You can try searching free alpha wave music on Youtube, or you can listen to Enlighten Me composed by Christopher Lloyd Clarke, an audio composer who’s been practicing meditation since 1997. Here’s the page where you can listen to a 5 minutes preview. Let me know if it didn’t make any difference to you. Ok. I must admit that I don’t use incense when I meditate. But I do have a thing for pleasant fragrances. Not those overpowering perfume type but more to the freshness of lemongrass or lavender. Using incense for meditation has been an ancient practice. It is believed that various incense has Sandalwood and Frankincense are known for their stress reducing and calming effect. Both have been used in practice for thousands of years. It’s your personal choice really. If you find it helps to calm your mind in meditation, by all means, give it a try. You can get one easily at Amazon. I used to think it looks so cool sitting upright like an ancient monk and meditating for hours. But not when you have spent your whole days chasing problems and a massage chair is all the comfort that I longed. This brings me to another instruction that often confuses beginners. In mindfulness meditation, we shift our awareness to physical sensations when they arise. Pain is one of them. And there is no hard rule to say we must sit and watch pain for 30 minutes, especially if it’s due to our posture or existing physical condition. You will need to sit high enough so that your pelvis is higher than your knees to avoid unnecessary discomfort or pain in sitting meditation. Or if you have back problems like me, this meditation cushion with a strap( from Amazon) may suit you. Meditation is like working out your brain muscle in the gym. Sometimes you just don’t have the energy to lift the weight (exercising mindfulness or concentration) anymore. Here’s where guided meditation comes into play. Often coupled with binaural beats, guided meditation is one popular meditation tool for people who find difficulty in meditating without help. While there are still debates on whether guided meditation interferes with our own practice of meditation, I find a balance between the both is best, especially after a long tiring day. (And when all else fails, guided meditation is often the one that gives me my peace of mind). I’ve tried out Aware, a mindfulness meditation app for beginners. Read my review and why it could be a great help to you. What’s your greatest challenge in meditation after a tiring day? What works best for you? Do share your thoughts with me in the comment section. You are more than welcome. Thanks for sharing your comment. I find as you have mentioned just how hard it is to try and meditate when you have too much on your mind. When your head is full of thoughts and things from the day just as that can keep you from sleeping it also keeps you from relaxing from meditating. Doing a small workout or taking away before meditation makes a lot of sense to help get you into a better place to prep you for meditating once you see about settling your mind down from the day you’ve had. Excellent advice and I’ll see about trying it out and check back to your site for more tips etc. Thanks for checking out and sharing your thoughts. Hope doing some workout take some of your stress away. 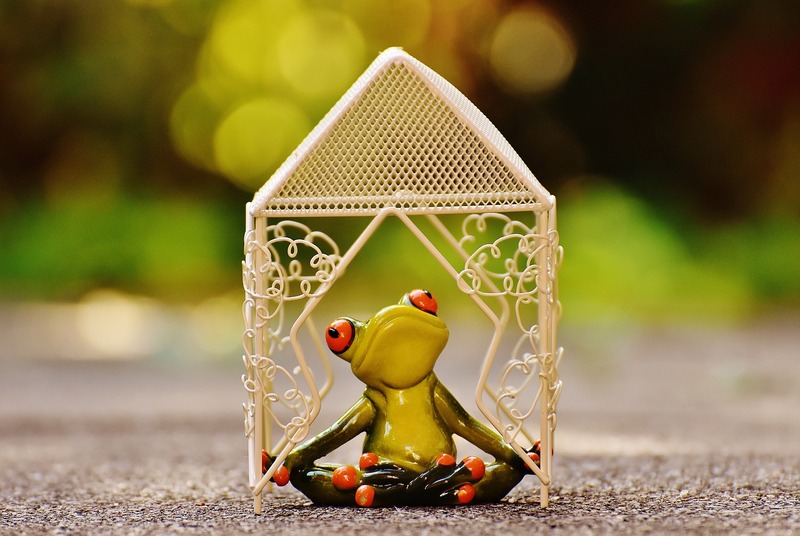 A really interesting post my friend on the best ways to meditate at home. It was extremely thought provoking and actual I felt enticed towards trying it for myself. There are also some AMAZING TIPS written too and I think I will have to invest in some meditation music. I used to have some when I was much younger but never understood its true purpose. I think you could get many meditation music through Youtube. I’ve tried some but the one that I recommended is really something different. Feel free to try a few of their previews. I hope you start trying meditation soon. If you bump into any meditation difficulty, just drop me a mail. I love to meditate. I cannot explain it but I need to do it to relax. Yes sometimes I only want to go to bet and rest but I just can relax my mind after meditate over my cushion. It’s amazing what meditation can do to your mind and to your body! I’m glad that meditation helps you to cool down your thought after your work. You’ll find you sleep better after you meditate. Keep it up. I will have to try these meditation techniques, i could do with some de-stressing. Actually I swim as my main source of exercise and have read that swimming can be considered a for of meditation. All that water and noises that come with the swimming motion are supposed to help relax you during the exercise. While I agree swimming can be relaxing, as it is part of working out. I don’t think swimming is meditation by itself. Meditation works more on the mind rather than our physical action. Just like walking can be relaxing if we employed certain meditation technique into it. But walking meditation is more than the physical action alone. It involves our mind in training itself to observe thoughts or build concentration. I’m not sure if this explains it well for you but hope it helps. This is a great article filled with great tips! I think that the most difficult aspect for people to relax and de-stress is to find the RIGHT method for themselves. You give some really great ideas for how to get out of your mind and set the stage for “productive” meditation. I love walking meditations, especially in nature. I find that appealing to the senses in simple ways helps me calm my mind (like walking, incense/essential oils, and music). Walking meditation is really awesome. While sitting meditation allows me to go into deeper meditative state. I find it easier to apply the technique of walking meditation to daily life. Say walking to your car or office. Or on your way back home. It’s a perfect method of leaving your work problems before stepping into your house. Thanks for these great recommendations. I do have a hard time with meditation cause I’m impatient and if I know there are other things for me to do, I want to get to them. However, I do realize the many health benefits, so I’d like to find a way to incorporate this into my health routine. Relaxing music and guided meditation may best suit me, but I’m going to check out some of the links you provided to get more info. That meditation cushion with strap seems interesting. Thanks again. Thanks for checking out my post. Sometimes we are either reluctant or find meditation difficult. Yet that could be exactly what we need if we can get do it right, instead of getting frustrated. The strap cushion could help people with back problem like me. You are totally stressed out and all you want tto do is relax and meditate to relieve that stress, but your overworked mind just won’t let go and let you get your mind off your day and into that meditation mode. We’ve all been there. Sometimes the best way isn’t to just stop thinking of everything and let your mind go blank, because it’s just not up for that. It’s these times that a guided meditation works best. Pop in a cd or get on you tube and find one you like and let the binural beats do their thing. If you are on you tube, you may also be watching something that you can focus on to get your mind focused on something else, even if just for a few minutes. This way you get your meditation done, your stress levels lowered, and your body relaxed. Yes guided meditation does help in relaxing and lowering stress level. I’m loving your article here Kenny. You described my experience with meditation perfectly. I only think to do it when I’m stressed out. I guess that’s why it never works for me. How am I supposed to meditate for the sake of meditation though? The only times I think of doing it are when I’m stressed. How should I approach it? Also, about the music, are there any channels I should watch for on YouTube? Which do you prefer? It’s ok if you think if you think you want to meditate to get rid of your stress. But when you are actually doing it, you just focus on what you’re supposed to do in meditation. For example, mindfulness meditation is about training your awareness to be in the present. If ever such thought of “Can my stress please go away” crept up during your practice, just bring back your thought to observing your breath, rather then stressing about whether are you meditating the right way. As for the music, there are so many meditation music on Youtube, but I can’t pin point any of my favourite. It’s hard for me to get a good quality on Youtube. The one I recommended is being sold at various website. But as far as I’m concern, you can get it at the cheapest price at the site I recommended. Alternatively, there are a few relaxation MP3 that you can download for free at the site. This is interesting. Ya, perhaps I should try it as you suggested. Meditation incense is optional. If you can spare just 5 minutes, you can get started with mindfulness meditation. 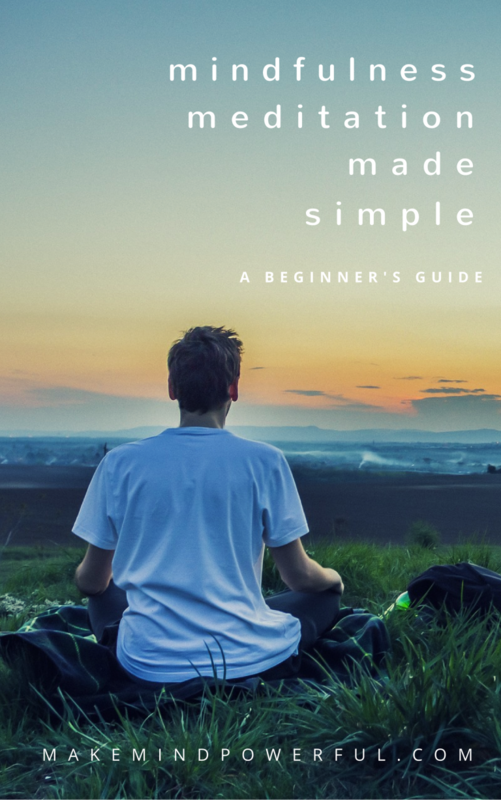 You can check out the simple instructions from my meditation guide. Hope it helps.